They are telling us that we’ll be here until spring. Who would have thought that we’d be here, in this place, longer than we would be home in the time span of a year? It could end up being a total of 8 or 9 months. There isn’t anything normal about this. Cancer isn’t normal. We weren’t created for it. God has given us life. So we fight for that precious gift daily. Jesus wept at Lazarus’ grave. He weeps with us too. Our sorrow becomes His sorrow. The truth is this world is fallen. We were created for life~for right here forever~but it was stolen away from us. Now we live with glimpses of paradise but this world isn’t paradise. Part of the fall brought with it sickness and disease. It has affected Bob. He is fighting for his life and until the Lord tells him to quit fighting here~and welcomes him into his eternal home~he fights on and I fight alongside of him, because life is a gift! God has a plan in all of this and it’s unfolding. Summer, Fall, Winter… The seasons changed. And so have we. It has brought us back to a vulnerable childlike place. But isn’t that exactly where God wants us? We don’t experience His presence unless we are humble, vulnerable, like little children crying out to a parent. And what good parent ignores a child? And what good papa doesn’t quiet the cries of his children? Abba, our papa cares. He’s a good Father. So lament we did. Lying in bed we cried, cried out to God, not with fancy words or prayers. No, just with the truth of how we were feeling. And you know what? We fell asleep in the arms of God. And the next day brought peace and answered prayer. We are looking forward to the end of this storm, this winter that we are in. We are looking forward to seeing all the signs of spring and new life…The crocus’ poking up from beneath the snow, the sun shining brighter, the patches of snow disappearing and the grass greening. This place so far from home, the one we live in close to the hospital some may call isolation but we call it holy ground. It’s a new normal. A place stripped of most of our possessions but here in the quiet we have found God to be more than enough. His presence is often experienced the most in our deep nights of the soul. We are experiencing Him in new and profound ways. Cancer. My husband’s cancer has caused us to go deeper with God, to experience His peace that passes all understanding more frequently. Especially in times of fear when we feel lost and alone and cry out to Him. It may not happen immediately but He always lets us know that He hasn’t abandoned us. We will never be the same. You can’t go through something like this and ever come out on the other side of it the same as you entered into it. Often God’s mercies are wrapped in unexpected ways. Who would have thought God would wrap His most precious gift of love, grace and mercy in swaddling cloths? Who would have thought God Himself would come to earth in such a lowly, humble way? Truth is His most precious gifts often come wrapped that way. In ways that we would never expect. His gifts are perfect and right on time. We prayed for 4 months that a bone marrow donor would be found for my husband. Many have prayed. Perhaps you prayed too. The news came that a donor could not be found through the registry. More chemo. More waiting. More praying. More hoping. Our oldest son, Scott, tested as over half a match. Not perfect but good enough. It’s good enough for a haploidentical bone marrow transplant. These types of transplants have been done successfully at the University Research Hospital where the transplant will be done. All transplants come with benefits and risks. It’s not easy by any means but we trust God with the outcome. On January 6 my husband will enter the hospital. His immune system will be suppressed through more chemotherapy and radiation. On Januray 13, Scott’s bone marrow will be harvested and given to Bob through an IV. My husband, Bob, will receive the gift of life through the son that he gave life to. The son we gave birth to is giving his father a second chance at life. Who would have thought that the answer; the gift would come through our son? We celebrate the most precious gift ever given in Jesus this month, the one who has given us life eternal. And we receive with grateful hearts His precious gift of mercy wrapped in the most unexpected way through our son, Scott and we thank our son for his most special offering. Certainly it’s the best gift that he’s ever given his dad for Christmas. We are going to have a Merry Christmas knowing that our God knows what He is doing and although a perfect donor match could not be found He is going to give Bob a perfect transplant. It’s early. I woke before dawn and watched daylight break through the darkness. I glance at the cup a dear friend sent to me and read the prayer printed on it. More than ever I need to know this. We, my husband and I, need to know this. My friend sent two different but special mugs. One for me and one for Bob. Our hope is in the Lord. 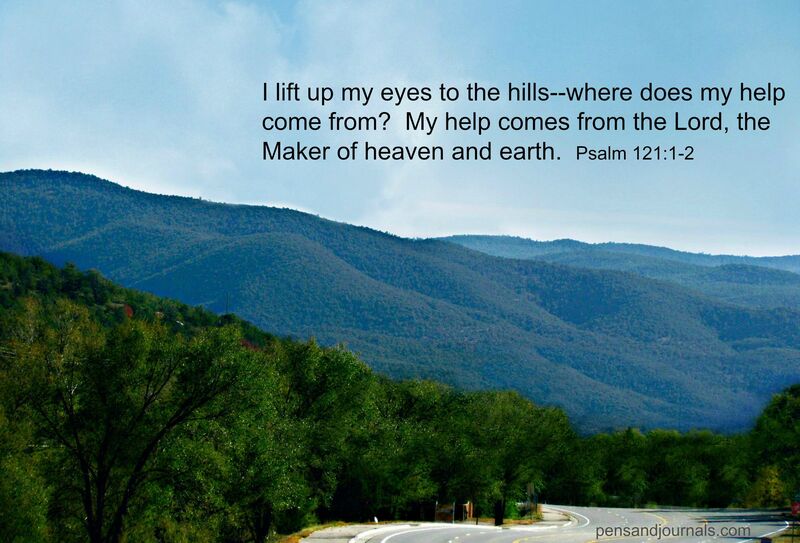 Our hope is knowing that He will give us strength and courage to walk through this valley. 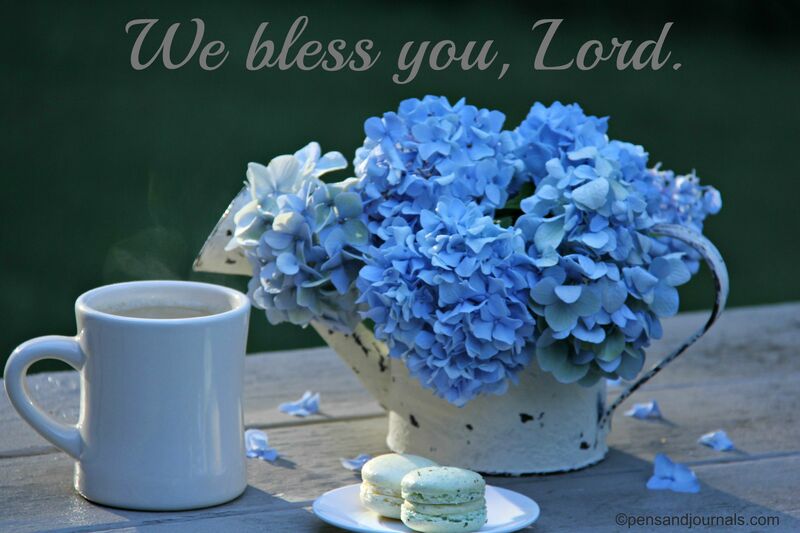 And as the prayer on the cup says…and through His grace provide the peace that lies in knowing He’s always at our side. There have been bursts of glory knowing God is near as His overwhelming presence carries us. It’s actually more than knowing it. We’re experiencing it. We arrived here in this place, 170 miles and three hours away from our home, at the end of August. It is the beginning of December now and we are still here in our home away from home. In this apartment 2 miles away from the hospital where Bob is being treated for Acute Lymphoblastic Leukemia, we are living our new normal. Bob spent 34 days in the hospital during his induction treatment. Now he is having his treatments out patient as we wait for news about a stem cell/bone marrow transplant. A donor match hasn’t been found. We’re running against time and soon the transplant team will be making a decision to do either an umbilical cord blood transplant or use a 1/2 match from a family member in an attempt to save Bob’s life. Chemotherapy alone will not keep the aggressive fast growing cancer in remission. Without the quick decisions and chemotherapy program that Bob’s doctors designed for him, he may not be here today. We were whisked away within days to begin his treatment. They didn’t waste any time. Bob is in remission receiving chemo to keep it there until a transplant can be done. A couple of weeks ago, we found flowers on the doorstep of the apartment where we’re living. A gift from friends back home. I clipped and arranged them, put them in a vase and they have been giving us many days of joy. As we look around at the gifts and cards that so many friends have sent we’re overwhelmed with gratitude. My sister and her husband have been coming at least once a week. Dave stays with Bob and Judy takes me out for a while. My other sister, Diane and her husband Andy visit and Diane meets Judy and I for lunch often. The doctors and nurses ask me, “What are you doing to take care of yourself?” It’s easy to forget that if I don’t take care of myself, I won’t be able to care for Bob. My sisters have been lifesavers for me, rescuers who won’t let me slip into depression or neglect my emotional or mental health. Our sons; our daughter-in-law ~ ~ they’re like life-saving medicine to our hearts. My brothers, my parents, many friends ~ their cards, their calls, their texts, their visits, their prayers are bathing us with hope and courage. We have an army of prayer warriors standing with us in prayer. Through the seasons of change and waiting, we are refreshed by the love and prayers of so many people. There are many friends and family members fighting this fight with us. He’ll receive round 5 of intravenous chemo this Thursday. All his blood counts are in the range that the doctors expected them to be this week and overall his doctors are happy with how Bob is responding. About 4:00pm yesterday, Bob’s chemo nurse told him that he would be receiving another chemo drug by injection on Friday and that his doctors would explain more about it in the morning. Bob wasn’t expecting to receive anything on Friday so the news was overwhelming and hard for him to hear. He slipped into depression. I wasn’t there when he heard the news. I returned at 5:00pm. I usually park in the parking garage but decided to go in the emergency entrance when I got back to the hospital. How can we not keep the faith when God sends messengers (perhaps even angels) to encourage us daily? Bob’s words after he heard the message? “Our God is good. He is reminding me that He’s right here with me and He’ll never leave me.” His spirits lifted. Peace returned to Bob’s heart and he rested well last night. I tossed and turned most of the night knowing what was ahead of us in the morning. At 5:30am, my eyes opened. I stared at the ceiling for a while then rolled over and closed my eyes. My husband’s arm wrapped around me and grabbed my hand and gave it a squeeze. This would be the last time we’d be this close for many months. As tears rolled down my cheeks, I drifted off to sleep for half an hour. Bob’s cancer is mutating. He not only has Chronic Myeloid Leukemia but, through a bone marrow biopsy, his doctors detected Acute Lymphoblastic Leukemia. An extremely rare combination. The only hope for a cure is through a bone marrow transplant or what is commonly known today as a stem cell transplant. That process begins today. We will travel 170 miles from home where he will enter the hospital for a month to receive extensive chemotherapy treatments — both orally and intravenously to try and bring both cancers into remission. This will begin the process to move him toward the transplant. I’m moving into an apartment near the hospital where I will be close to him. It could be 6 months or longer before we can return home. It’s been a whirlwind. We just heard the news last week and we’re already being whisked away. Bob has a wonderful medical team at one of the best hospitals in our state but our trust is in God. He has been our guide and strength through this long and winding road. If we had to depend on ourselves, we’d be incapable. We heard the news on Thursday and they wanted him admitted the following Monday. Where will I live? How can we manage this so far from home? Those were questions that I kept asking God. We stopped at a café to eat lunch after we met with the medical team last Thursday. Scrambling through the internet looking for rentals, proved futile. We were trying to find a place, in a college town, near a University Hospital. Bob’s doctors and staff at the hospital told us that it would be extremely hard to find an apartment there. Concern for Bob flooded me. I didn’t want him admitted into the hospital on Monday with this weight on his shoulders. His concern was over me having to deal with this alone after Monday. We had to get back to our home 170 miles away to get ready, pack and prepare for Monday. As we left the café, we turned the corner and drove less than a block and saw a “Now leasing” sign. We pulled in. They had a 2 bedroom apartment available. The people living there were moving out on Monday. It was the only unit available. The leasing agent showed us the place, in a quiet and quaint area, and said it was ours if we could give her a deposit that day. We did and it’s now ours. The extra bedroom will come in handy for family visits. Our answer was right around the corner! God had the place picked out for us long before we knew that we would need an apartment in that area. He hasn’t brought us this far to leave us and we know that ultimately He is in total control. We are leaning on Him for strength through this storm and praying for Bob’s healing. God is good. He’s always good even in the middle of a storm. I heard those words flow out of the mouth of someone praying once. And those four words got me thinking. Does God need our blessing? I know I need his blessing. I need his blessing to live. I’m blessed when I inhale my first breath of morning air. I’m blessed with my first sip of coffee and with my first spoonful of Cheerios. I’m blessed with a warm shower and my bar of dove sudsing up my washcloth. The clothes I put on are his blessing. Rain that soaks the earth. Plants and flowers that bloom in my yard. Everything. Everywhere. I’m surrounded by his blessings. We sing, recite and teach children and grandchildren to sing and recite these or similar words. But are we conscious, really conscious of even the simplest of blessings? We need his blessing to survive. Does he need or want ours? The Orthodox Jews blessed God. So did Jesus. If we look closely at Jesus’ prayers and even the Apostle Paul’s, we see clearly that their style of prayer was one that continually blessed God. That prayer style was passed down from Moses when he told the Israelites to focus on the Lord and to not forget that he is the source of all that they have and that he alone sustains them. When you have eaten and are satisfied, you shall bless the Lord your God for the good land which he has given you. Beware that you do not forget the Lord your God. Deut. 8: 10-11. Moses didn’t want the Israelites to rely on God only in their lean days but to also acknowledge him in their abundance — especially when things were going good. That’s when it’s easy to forget about God. He was stressing the importance of blessing God always and in all circumstances. Blessing God with short bursts of prayer shifts our attention to him…the source of all blessings and to keep him foremost in our line of vision and in our thoughts. Praying before meals often becomes a mindless ritual but what a great time to really pause, think, focus, and remember God’s blessings that we received throughout the day and to bless him for them. 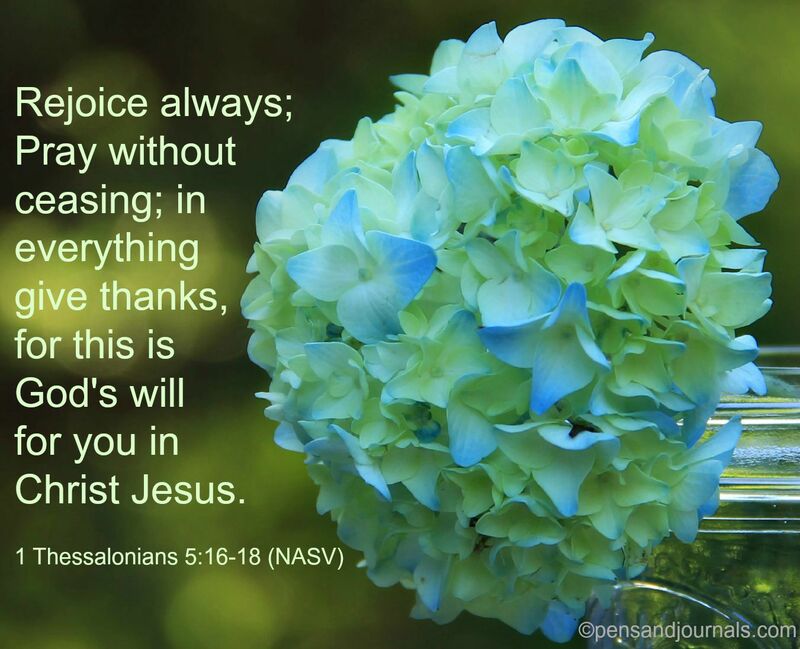 Jesus took the bread and gave thanks — the original translation says, Jesus took the bread and blessed…not to bless the food but to bless God for the food…in other words, to thank God. Some translations sneak in the word ‘it’ as if Jesus was blessing the food. Maybe that’s where we’ve gotten confused with what praying before meals is really about. Jesus was giving God thanks for the food. He was not blessing the food. I get the image of kneeling before him in total surrender and worship when I think of the word barak. To bless God is to give him thanks. We can give thanks before meals and not only then but continually all day long. Even during painful situations, we can thank him for the specific ways he sees us through them. We can write them down, focus on them, take our eyes off of our circumstances and place them on him and bless his name. Life gets hard at times but God is good. Always good. “Oh, Lord, we bless your name.” And we can say it over and over, because there isn’t a second in life that hasn’t been saturated with his blessings. Oh, Lord we bless (thank) you for________. You fill in the blank and I’ll bet you will be able to fill in more than just one blank. Count your blessings name them one by one. Count your blessings see what God has done! Did you know that we are all artists? We don’t have to write, draw, paint, sculpt to be one either. 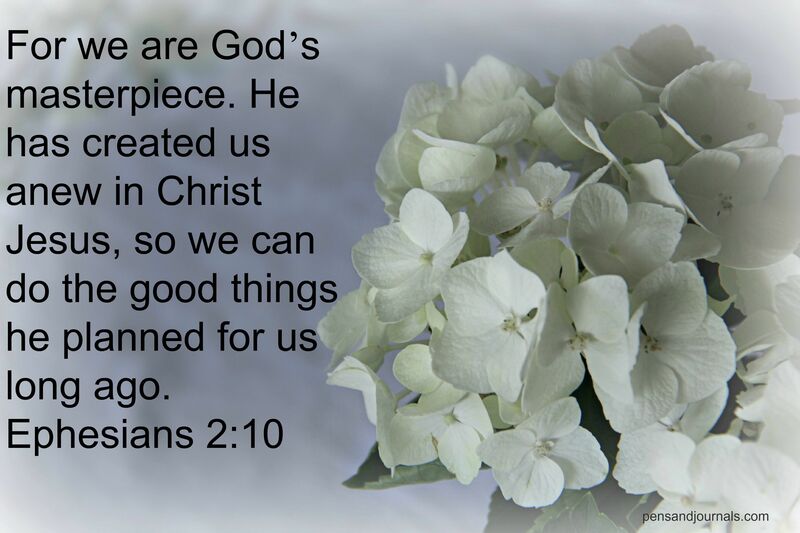 We’ve been created by the master artist to become like him and he is certainly creative. Look at us, look at nature ~ the trees, the flowers, the earth, the sea, the sky. 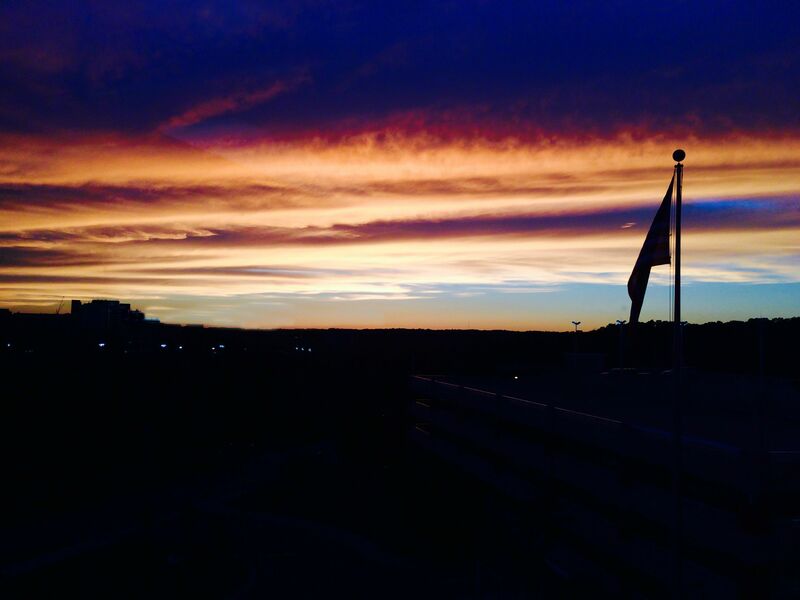 You don’t have to look far to find the wonder of his art. He spoke this world into being but he breathed life into you and me to become image bearers. He declared that all his work was good but we are different, because in his declaration he made it known that we humans, male and female, are not just good but very good. He put the very good stamp of approval on us as image bearers and gave us work to do ~ that’s our art. Even when his image became tainted in us he gave us another chance to be created anew through Jesus. Some versions use the word workmanship instead of masterpiece. The words masterpiece and workmanship are translations from the original Greek word poiema ~ where our English word poem originates. 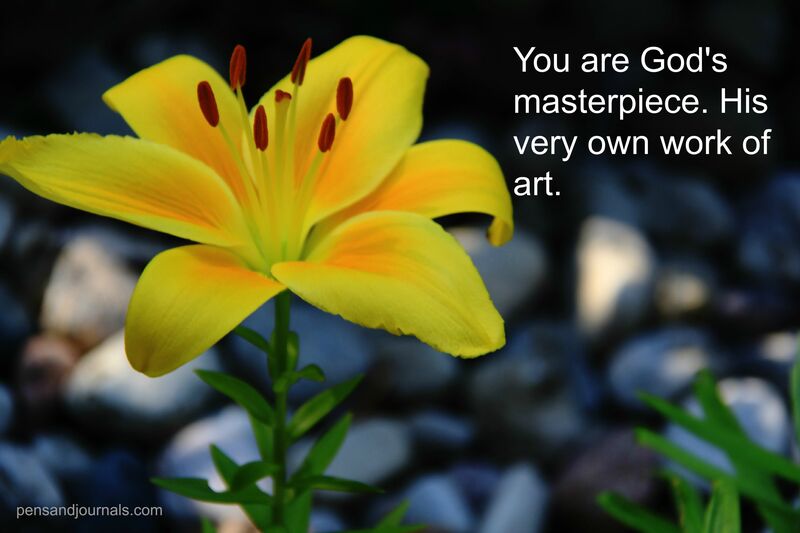 We are God’s masterpiece, workmanship, works of art, poem. We, the created, are expressions of his creativity and his poetry comes out through us. We are poems. Uniquely put together to add something beautiful to our world. Wherever we are, wherever we go, whatever we do, whatever we express pours out from the pouring in of the Spirit of God. We are moving, walking, breathing, living poetry. We are all artists expressing ourselves in and through the work that he planned and prepared for us long ago. Each of us will express it differently through different mediums but we’re all poems shining out, through our work, for the glory of God. In the beginning God designed us for work. Jesus didn’t change that. He pours his life into open and willing vessels and what comes out of the vessel is art. His poetry to the world. Some of us are writers, some may even write poetry, some may express their art through painting, drawing, sculpting but most of us express God’s poetry in just ordinary everyday ways. Just like Jesus did. He and his father were one. He stayed close to his father, listened to his voice and lived out his mission through him. It’s in the everyday, the day-to-day that we best express his poetry too. When my younger brother died unexpectedly two years ago, one expression of love and compassion that still touches my heart were the friends and extended family that showed up for his visitation with food. There was a lounge/kitchen area where meat, bread, croissants, sandwiches, fruit, desserts, coffee, soda and much more were spread out on counters. And the food kept pouring in all day long. We, my brother’s family and many visitors, didn’t have to leave the funeral home on that long hard day to go out to eat. Many people met our needs, not only through nourishing our souls with comfort and encouragement but through meeting our physical needs with food. They were the living, breathing poem of God. When my oldest son had pneumonia at the age of 14, and his doctor told us that a few days of intravenous antibiotics in the hospital should clear up his infection, we were hopeful since the oral pills didn’t touch it. As one day led to another and his infection wasn’t clearing up, tubes were inserted into his chest to try and drain the fluid. Then the unthinkable happened. His lung collapsed and consultations with specialists ensued. Surgery, ICU and lots of prayer finally brought healing after 30 days in the hospital. My mother came and stayed with us and cared for our 4-year-old son as Bob and I spent many days and long nights at the hospital. My sister, Judy, took a week off to stay and helped out too. Both were living, breathing poems of God. There were many others from our church ~ including our pastor ~ who gathered around Scott’s hospital bed for prayer and friends visited and helped wherever they could. Two elders from our church came daily and spent hours with us in the hospital. 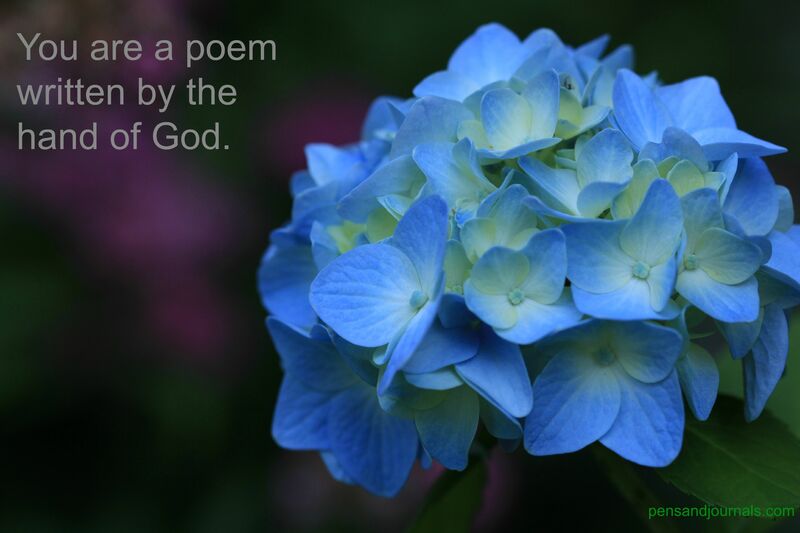 God’s poetry was pouring out through their lives. I don’t know what it does for you to grasp that you are God’s masterpiece, his poiema, his created poem, but for me it’s liberating to know that he has a perfect plan to live creatively through me. And he directs me with the desires he plants in me to go out and live it. Being his workmanship doesn’t mean we are all poets. It means we are all poems, individual created works of a creative God. And this poetry comes out uniquely through us as we worship, think, love, pray, rest, work, and exist. Jesus reminds us we are art and empowers us to make art. Let’s go live our art and let our created poems shine! All photos are mine and were taken in my yard. Scripture from the NLT Bible.